When the 1963 civil rights demonstrations began, Mrs. Thorpe showed her support by buying a life membership in the NAACP, the organization that helped pay legal costs and attorneys’ fees in local civil rights cases. The selections below came from an oral history of Avicia H. Thorpe conducted by Emma C. Edmunds on April 23, 2005, at Loyal Baptist Church in Danville, Virginia. Mrs. Harriet Graves Pritchett (1859–1943) remembered Lee’s surrender and the aftermath. My [maternal] grandmother [Harriet Graves Pritchett] told me that she was six years old when [Robert E.] Lee surrendered and she remembered being left with a little bag of belongings standing in the corner of the fence while her daddy went to find a place to live. I am very sorry not knowing then as I know now—I didn’t know how to ask a number of questions about any of the family or anything about it, so that’s all the information I have about her. Other than she was also living on West Main Street. After her husband died, she remarried and went to West Virginia. And she and her husband, Mr. Jim Pritchett, had moved back to Danville with us. She was living with us when she died in 1943. 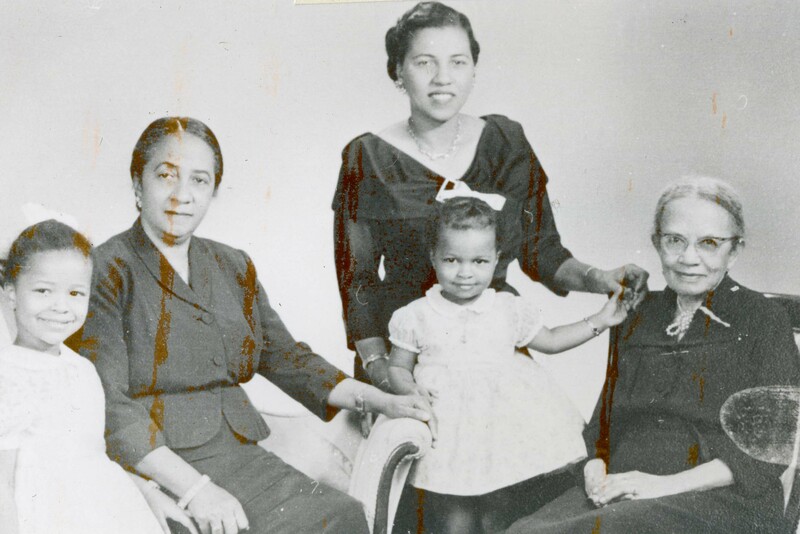 Although Avicia Thorpe’s mother, Mrs. Priscilla Nash Hooper Graves, lacked educational opportunities, she made sure all of her ten children finished high school. After high school, Mrs. Thorpe graduated from Bluefield State College in Bluefield, West Virginia, as salutatorian with a bachelor’s degree in social sciences. I was born on West Main Street, the first block beyond Dan River Cotton Mills. I don’t know how long my family had been there before I was born. In my home there were my mother and father and ten children. My father died when I was very young. I don’t know anything about his education, but my mother said that she didn’t get any further than the third grade. But she could pick up a newspaper and read it. If she came across a word she didn’t know, she would start to divide it into syllables and pronounce those words. She could read any newspaper. … She died in 1959. But while she did not have the educational opportunities, she saw to it that all of her children, all ten of us, had the opportunity to finish high school. 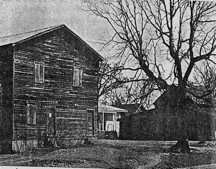 The Old Masonic Hall Building, above left, housed the one-room Lovetown School on the first floor; the lodge room, on the second. Due to the strictures of segregation, Mrs. Thorpe was unable to attend a white school close to her home, but instead walked several miles to the one-room Lovetown School. In 1914–15 she attended first grade at Lovetown; her teacher was Mrs. Agnes Adams. In this passage, she recounts the steps in her broader educational journey. As I said, I was born right up here on West Main Street, just a short distance from the mill; and although the Schoolfield School was on Baltimore Avenue, a short way across the railroad down below our house, we had to get out there and walk that railroad up to a little one-room school. [It was] was several miles; I don’t know the exact distance. And of course when we moved from Schoolfield, I went to Almagro School, which at that time had four rooms, but by the time I finished, they had reached the eleventh grade and the school was then renamed the Pittsylvania County Training School. From there I went to the Presbyterian Industrial High School for that one year and finished the twelfth grade. From there I went to Bluefield State College, where I received my bachelor’s degree in social sciences. Mrs. Thorpe was then asked to describe the Presbyterian Industrial High School. It was right next to the Cunningham [and] Hughes Funeral Home. As I said, I just went there for one year, my twelfth year. … Professor Robert Hairston was my teacher. Reverend Carr was the principal. He was the pastor of the Presbyterian church. They did have sewing for the girls. She remembers making her commencement dress. There was one machine; all other sewing was by hand. Nothing particular, no kind of activities or anything like that, for the students generally. That’s the main thing I remember. Avicia H. Thorpe taught English at Westmoreland High School from 1933 to 1936 and at John M. Langston High School from 1936 to 1966. Despite inferior educational supplies and resources, African-American teachers and community members found remedies. 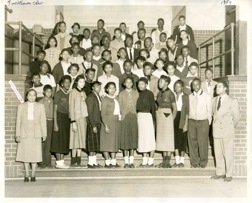 When there was no student newspaper or journalism program at Langston, Mrs. Thorpe founded the Langstonian. When there were no business courses at the high school, the wife of a pastor taught shorthand and typing in her home, Mrs. Thorpe said. 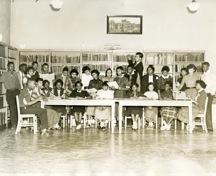 This is a picture of the Langstonian staff and it was taken in the library at the school. Now at our school, we had no formal journalism—nothing pertaining to journalism, but I organized the Langstonian, the school paper. This is how the staff had grown; and I wish you could see a copy of the paper we had. We started off just mimeographing copies. We ended up with a printed paper, and we won third prize in the Columbia Scholastic Association. African–American teachers who protested in 1963 risked losing their jobs. Mrs. Thorpe wore an “I Have a Dream” Martin Luther King, Jr., medallion when she was photographed by Tom Cogill. Although she admires King, who came to Danville during the civil rights movement, she did not participate in demonstrations. In this excerpt, she explains why teachers were reluctant to join in protests. It was risky at that time. A teacher would take the chance of losing his or her job. But we helped in other ways. When the people met at High Street Baptist Church, we would send food down there for them. People were arrested and had these bills and all to pay. Some of us contributed that way to help take on financing. I remember when the [NAACP] life membership plaques were presented, I had purchased one of them. That night I stated that I could not get out into the streets and demonstrate as some of them were doing. But I did what little I could to help financially by buying a life membership. I remember one of the teachers saying, “Oh, I would have been afraid.” So that’s just how things were at that time. 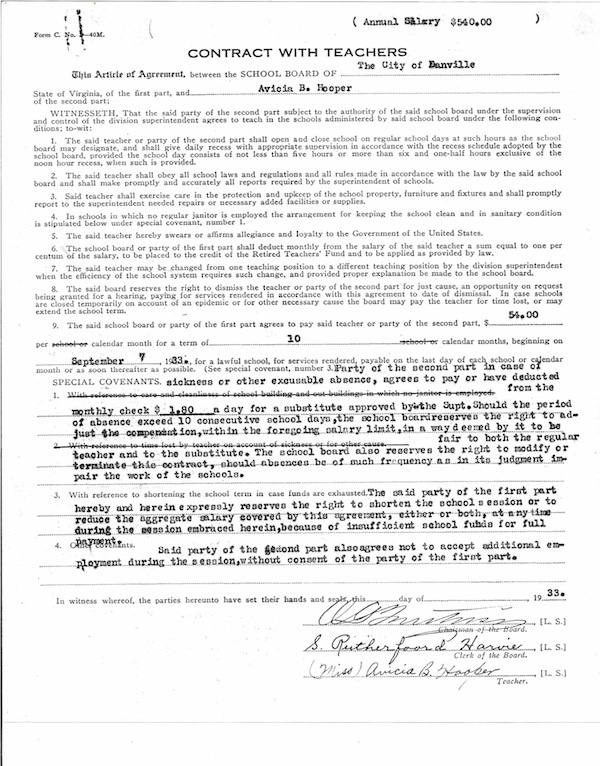 By purchasing a life membership in the NAACP, Mrs. Thorpe helped pay for lawyers, bail bonds, and other legal expenses. 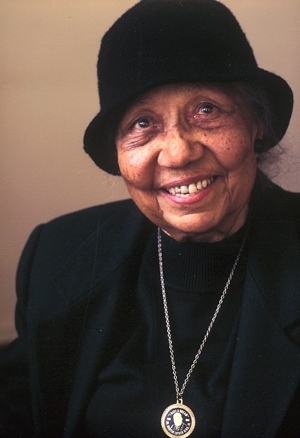 Avicia H. Thorpe, interview by Emma C. Edmunds, April 23, 2005, transcript, Danville Community College, Danville Public Library, and Mary Blount Library at Averett University, Danville, Virginia. Click on the image thumbnails below to view a larger version of the images. THIS DEMOCRACY OF OURS. 1947. 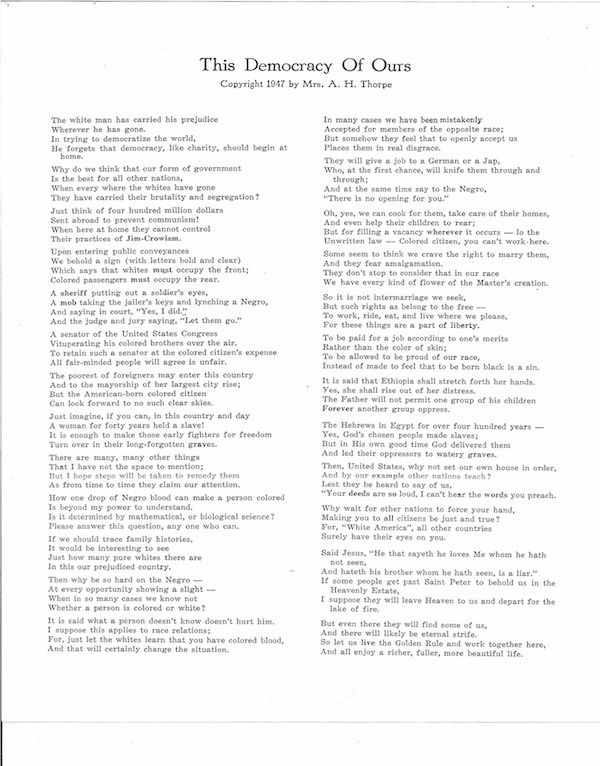 “This Democracy of Ours,” a poem written in 1947 by Avicia H. Thorpe, gave voice to frustrations African Americans felt after World War II. Black soldiers, who had fought and died for democracy abroad, returned home only to find their rights constricted by the laws and customs of segregation. “The white man has carried his prejudice, / Wherever he has gone. / In trying to democratize the world, / He forgets that democracy, like charity, should begin at home,” she wrote. “STAND YOUR GROUND, MISTER PRESIDENT.” FEBRUARY 14, 1948. On February 2, 1948, President Harry S. Truman delivered a special message on civil rights to the U.S. Congress, calling for the enactment of legislation in areas ranging from voting rights to interstate transportation. On February 14, 1948, Mrs. Thorpe wrote the poem featured here. “Just stand your ground, Mister President,” it began. 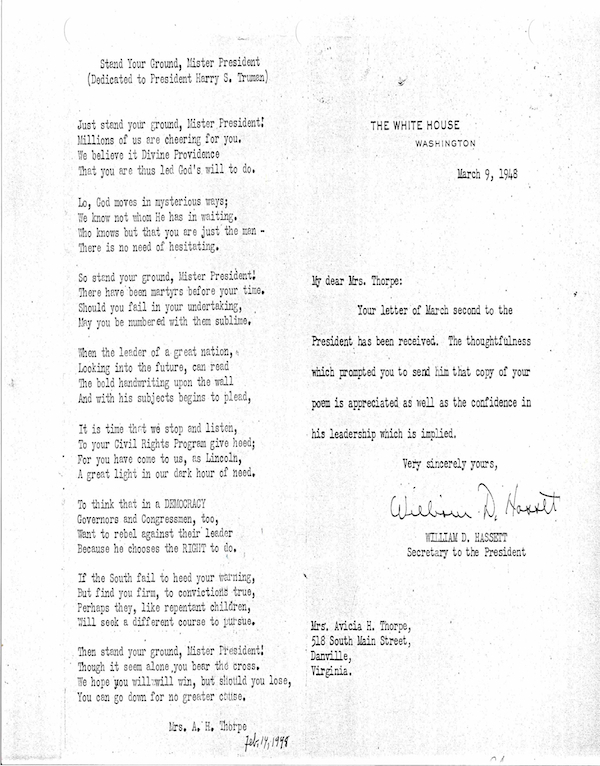 “Millions of us are cheering for you.” The White House on March 9, 1948, sent the thank-you note displayed. AVICIA HOOPER THORPE IS A RETIRED TEACHER WHO HAS BEEN EXTREMELY ACTIVE in church, civic, and educational affairs, and is the recipient of many honors bestowed upon her by her students, the community, and her congregation. Born on April 16, 1908, in Pittsylvania County (on what is now West Main Street in Danville), she attended first grade at the Lovetown School, then enrolled at the Almagro School, which evolved into Pittsylvania County Training School by the time she finished the eleventh grade. For her senior year, Mrs. Thorpe attended Presbyterian Industrial High School (or Holbrook Street Presbyterian School) on Holbrook Street. She graduated as salutatorian from Bluefield State College, Bluefield, West Virginia, with a bachelor’s degree in social sciences, completing additional studies at Michigan State College, Lansing, Michigan; Columbia University, New York City; and Virginia State University, Petersburg, Virginia. In 1933, Mrs. Thorpe joined the faculty of Westmoreland High School, transferring to John M. Langston High School when it opened in 1936 and teaching English there until her retirement in 1966.